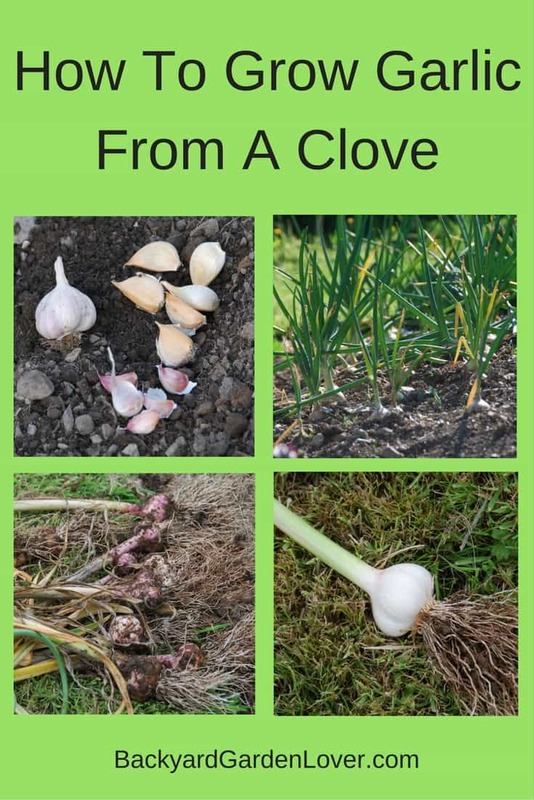 Do you know how to grow garlic from a clove? 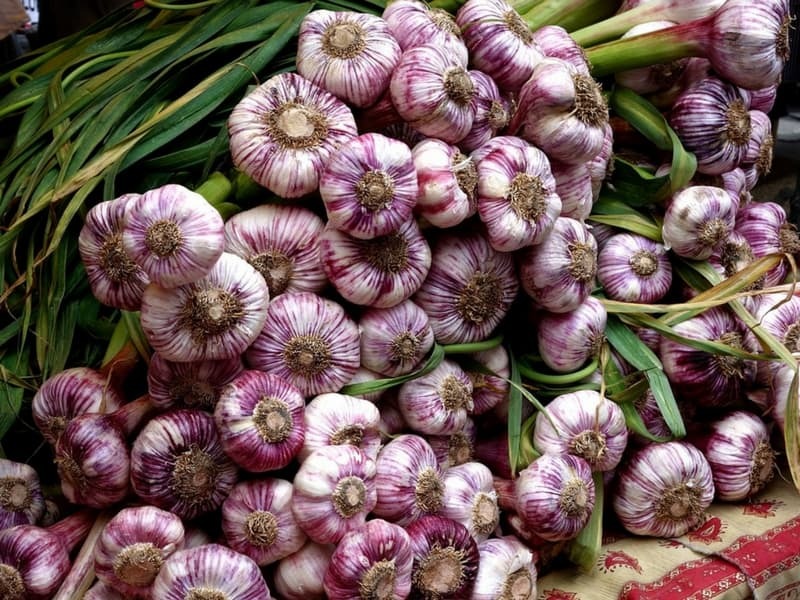 Many think of garlic as a Mediterranean plant that could not be grown in cooler climates. 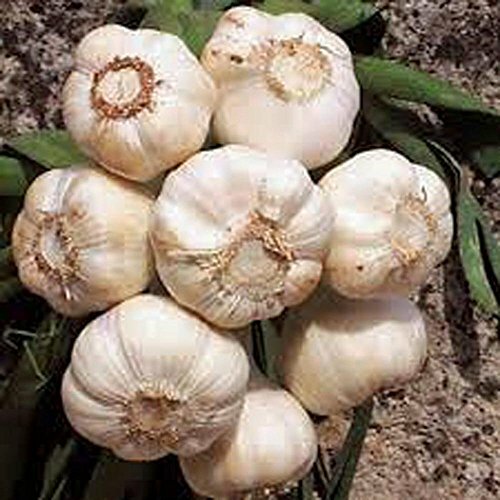 But modern varieties that have been specifically bred for cooler growing conditions offer a good range of both hard neck or soft neck varieties of garlic. 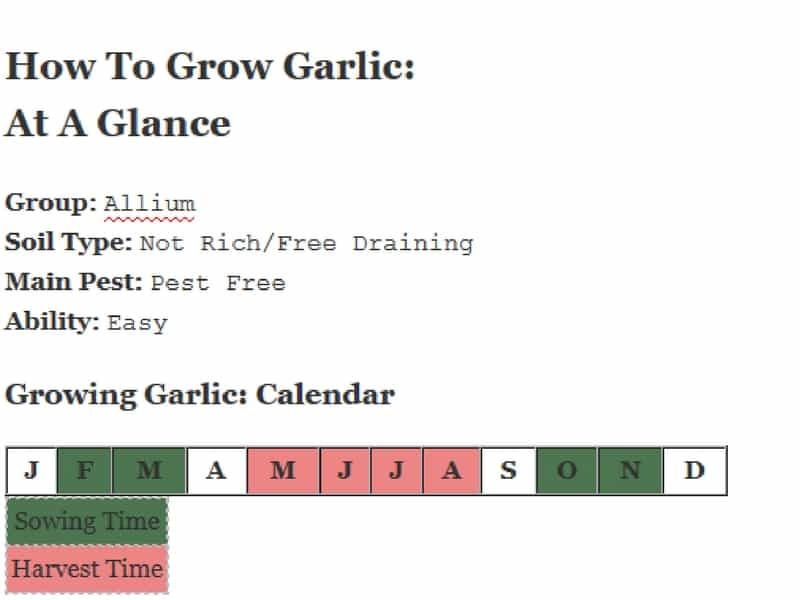 Here’s growing garlic at a glance. 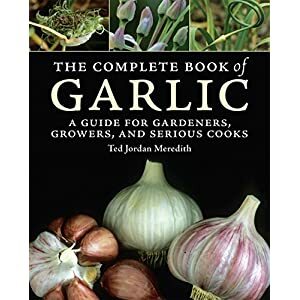 The Complete Book of Garlic: A Guide for Gardeners, Growers, and Serious Cooks Garlic does not like well-fed soil, so make sure that you do not manure the garlic bed the season before planting, and there will be no need to add soil improvers or compost. 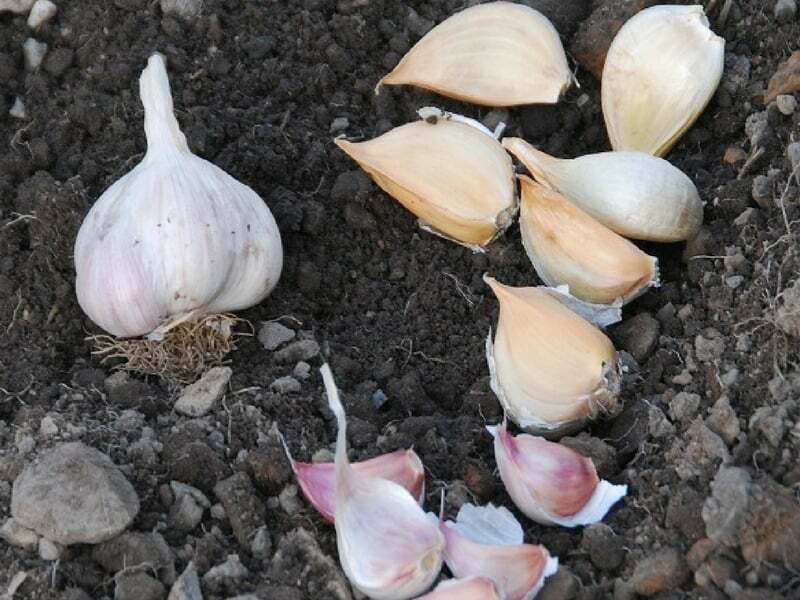 Also, garlic does not do well in water logged soil, so it is well worth adding sand or grit, either to the whole bed, or under the dibbed holes you plant the garlic in to help keep cloves in free draining soil. If your soil is particularly wet over the winter it may be worth planting cloves in 3″ pots in the greenhouse and planting it out during the spring. Like all members of the allium family it likes an application of some wood ashes. 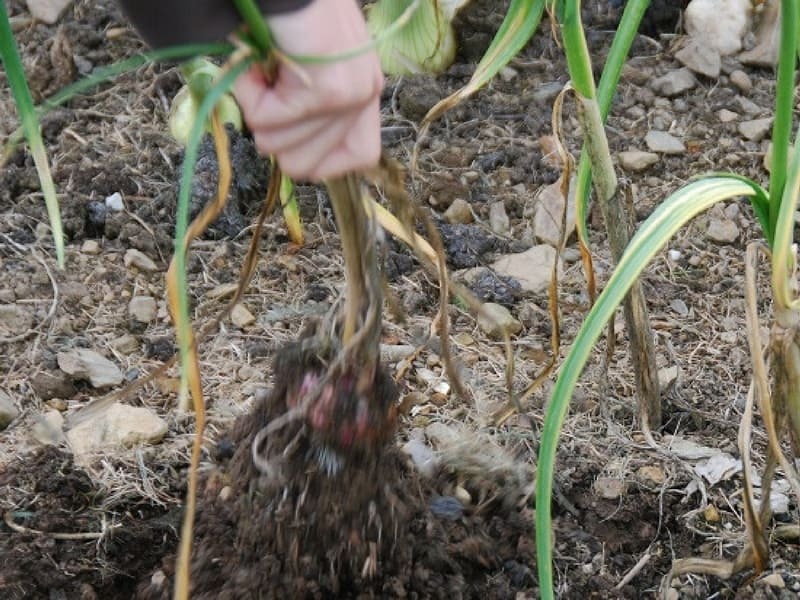 Garlic prefers a longer growing season so planting in October or November is best, although you can still have reasonable success from an early spring sowing. They need a sunny position and a well-drained soil. 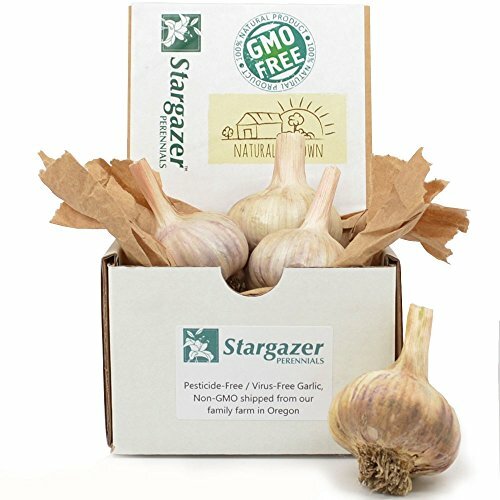 Stargazer Perennials Certified German Extra Hardy Hardneck Garlic Bulbs – Porcelain Type – 4 Bulbs (Approx. 1/2 lb) To sow garlic, buy a garlic bulb, split off the cloves and plant them, root side down in a dibbed 3″ deep hole at 8 inches apart. Supermarket garlic is from warmer weather varieties, so stick to varieties that have been bred to grow well in a cooler summer. But, if you’d like to use spring/green garlic in salads and cooking, supermarket garlic works well. We buy our garlic at COSTCO and in the spring plant a whole bag of it for salads: best garlic ever!!! You can also sow garlic in spring, but it might not do as well. 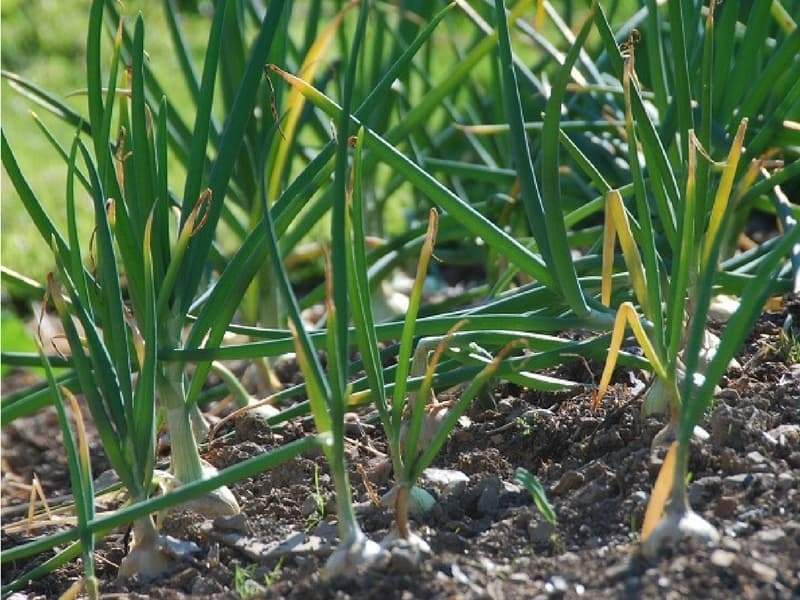 If your soil is liable to water logging it is well work dibbing a deeper hole and dropping some sharp sand in before the garlic clove, or you could sow in the greenhouse and plant out in the spring. There is very little more to growing garlic, just keep weed free and water in a dry spell and you should have plenty of bulbs in the summer. Garlic is pretty trouble free and as long as the temperatures and weather stay steady. If the temperatures are a bit haphazard or extremely wet there are a few things to watch out for. 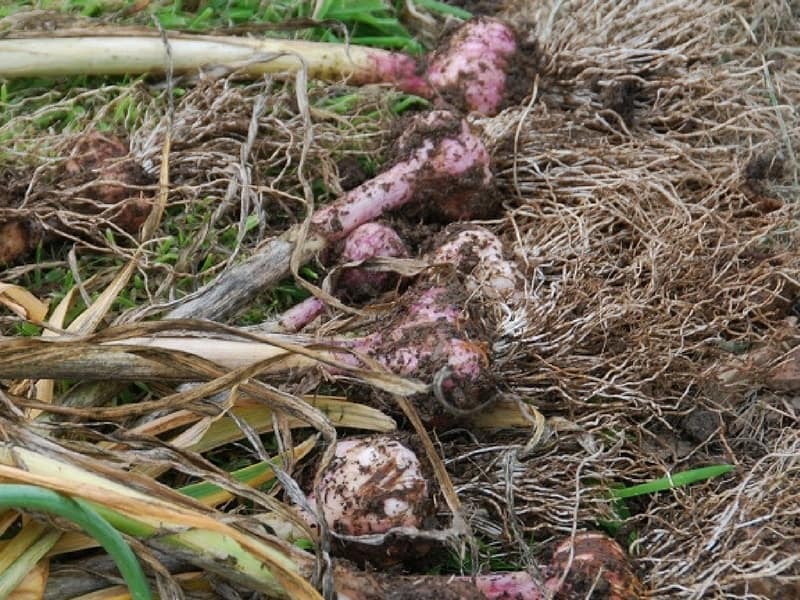 Harvest garlic in mid-summer when the leaves start to turn yellow. Although bulbs can be used straight away and wet garlic is often sought after by chefs, you will need to store most of your garlic harvest. To store, let the bulbs dry for a week. Once dried, strip off the dirty skin, cut off excess roots, then braid (plait) and hang. Storing garlic in a dry warm place, not in the refrigerator, will keep it from sprouting too soon. You’ll have fresh garlic for months, all the way through winter. As we have mentioned there are two types of garlic, the soft neck and the hard neck. Soft neck garlic is not very hardy, but it stores better. Choose either Chesnok Wight for a strong flavor or Red Sicilian for a good roasting bulb. Hard neck garlic tends to be a hardier, but it doesn’t store so well. Solent Wight is probably the best known and most popular of the hard neck types. 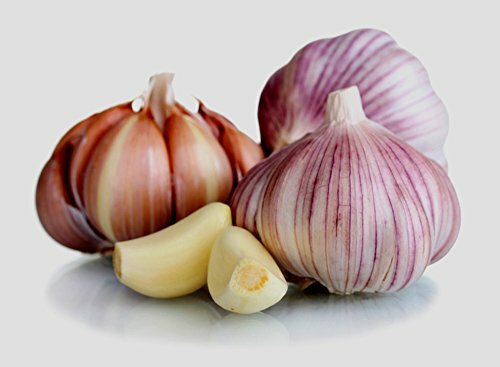 Elephant garlic is a giant bulb that is becoming more and more popular, it’s great for roasting whole and has a good sweet flavor. But contrary to its name, Elephant Garlic is not really a garlic, it’s actually more closely related to leeks. 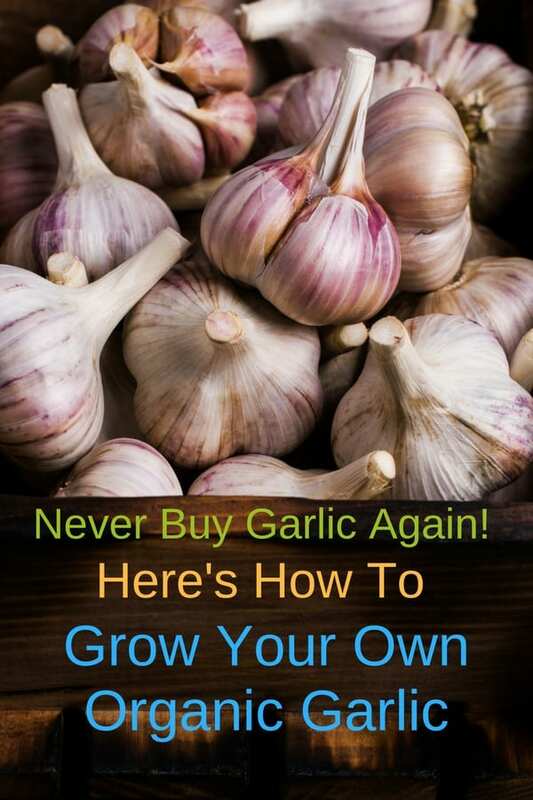 Now that you know how to grow garlic from a clove, you’ll never need (or want) to buy garlic again! Interesting. Wouldn’t freezing them overnight kill them? I’m confused. In the begging of the article you say hard neck doesn’t store well, then at the end you said soft neck doesn’t store well. Which is it? Thanks for catching that Craig. Yes, the hard neck doesn’t store as well as the soft neck. At the end I meant to say that the soft neck is not very hardy. All fixed now. Will it die over winter, below freezing? If you plant it early enough before the first deep freeze, they’ll form roots and will be fine. They’ll resume growth on the spring. I live in South Florida. When would be the best time for me to plant? You can probably plant it now. I would definitely plant them. They won’t last till October.